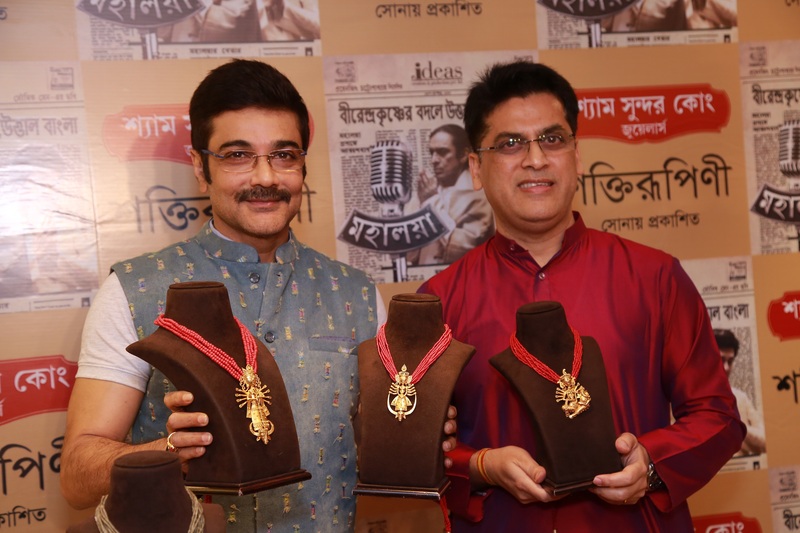 Superstar Prosenjit Chatterjee unveils Shyam Sundar Co. Jewellers' latest exclusive gold accessories "Shaktirupini"
Kolkata, 26th February 2019: Shyam Sundar Co. Jewellers, one of the most premium heritage jewellery brands in Eastern India launched their exclusive range of Gold Accessories titled “Shaktirupini” at their flagship Store, 131A, Rashbehari Avenue today. Tollywood SuperstarProsenjit Chatterjee along with Shri Rupak Saha and Smt. Arpita Saha, Directors of Shyam Sundar Co. Jewellers were present to unveil the exclusive line of collection. “Shaktirupini” has been crafted in the most contemporary way. The collection comprises of light weight of gold jewellery and has been adorned with traditional, dokra and tribal art form. The collection represents various pendant sets with a very special expression of mother Goddess ‘Durga’.  The range of the light weight collection starts from Rs. 70,000/- for 20gms. Smt. Arpita Saha, Director of Shyam Sundar Co. Jewellersalso added, “The exclusive handcrafted jewellery of goddess Durga inspired from the elementary representation of Devi Durga, the Goddess of Power and Strength. The entire range of jewellery has intricate traditional, dokra and tribal art form. I believe people would be elated to experience the elegance of the goddess Durga through this jewellery”. Tollywood Superstar Prosenjit Chatterjee said,”The team of ‘Mahalaya’ and I are very happy to have been associated with such a brand. The ‘Shaktirupini Collection’ is simply amazing and caters to all the generation. I am extremely grateful to be present here for the launch of the collection. I wish Mr. and Mrs. Saha all the luck and hope for the success of the collection and the movie”. The Collection is available at all the showrooms of Shyam Sundar Co. Jewellers at 131-A Rash Behari Avenue, near Triangular Park; Behala, 401 Diamond Harbour Road and 6/1/1/B Jessore Road; Dakbunglow More, Barasat.